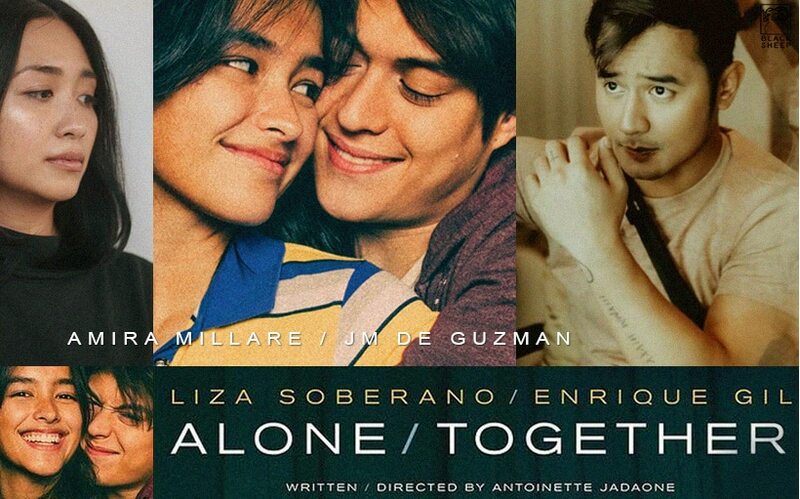 Some of the biggest OPM players are coming together for Liza Soberano and Enrique Gil's much-anticipated Valentine's Day film "Alone/Together" to bring us a fresh kind of heartbreak. Direk Tonet and Armi announced the news on Twitter last January 23. Armi wrote, "Cat’s out of the bag- thrilled to be part of this beautiful film by director and friend Tonette Jadaone." The cover was received warmly by audiences and the actor-singer told ABS-CBN News that he couldn't be gladder. "Sobra akong privileged. Mahirap galawin ‘yung kanta na ‘yun. Isa siya sa mga bumuo sa akin noong kabataan ko. Sobra akong happy na maganda ‘yung feedback." Produced by ABS-CBN Films' Black Sheep, "Alone/Together" will mark Liza and Enrique's return to the big screen after Cathy Garcia-Molina's "My Ex and Whys" released back in 2017. It will hit cinemas nationwide this February 13. Direk Tonet also helmed "Love You to The Stars and Back" starring Joshua Garcia and Julia Barretto in 2017. Direk Tonet Jadaone, impressed sa LizQuen!